Pas de « Selfies », states a sign on the white wall of Ilya and Emilia Kabakov’s ‘L’Étrange Cité’ (‘The Strange City’), coyly confirming this year’s Monumenta commission at the Grand Palais as an ideal breeding ground for that inevitable stamp of self-expression. Taking on the theme of the imaginary city – reliably fashionable, whether in the hands of Piero della Francesca, Jonathan Swift or Italo Calvino –­ ‘L’Étrange Cité’ is the Kabakovs’ most ambitious installation to date. In a series of symmetrically arranged architectural structures linked by white, arching ligaments, the Kabakovs present a three-dimensional model of the human imagination. Each site showcases works from across the Kabakovs’ practice, centred on elaborate maquettes of utopian structures. Impossible ideas are suddenly mapped out in space – we wander from one to the other. Here we have metaphor of the man who constructs a tower to meet his angel; next we witness the maverick creativity of the scientists who attempt to tap cosmic energy. Two ‘chapels’ are proportioned according to the architectural rules of the Italian Renaissance; a meaning-laden liminal space is entitled ‘The Gates’. At the centre of the installation we encounter the spiritual ‘blank canvas’ of a museum emptied of exhibits. 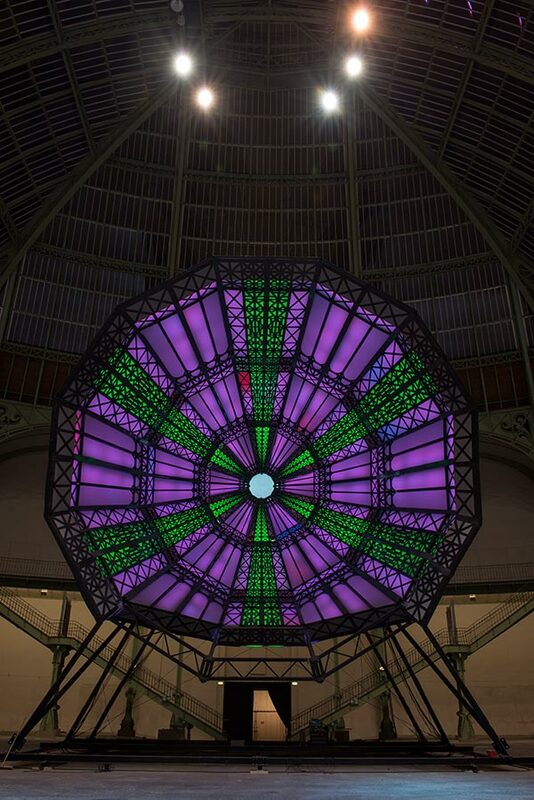 The first selfie opportunity presents itself at the entrance to the City, where an upturned, horizontal version of the Grand Palais’ iconic glass dome provides the perfect backdrop: kaleidoscopic and kitsch, this is sci-fi set to a soundtrack of mystic lounge music. As a rule, selfies aren’t suited to a truly alien environment. The image needs to trigger the audience’s recognition, to ‘tag’ the subject within a wider sphere of interests and images. Equally, ‘L’Étrange Cité’ cannot be said to be particularly ‘strange’. Its architectural aesthetic echoes the 18th-century visions of Étienne-Louis Boullée or the Glasnost era paper architecture of Alexander Brodsky and Ilya Utkin. Its narrative is haunted by whispers of JG Ballard and Jorge Luis Borges. As the digital hotspots on the outskirts of the city suggest, this imaginary, impossible world is thoroughly ‘geo-taggable’. The issue of a preordained ‘failure’ is a classic critique of the Monumenta series. The clue is in the name: the demand for a work in which meaning is monumentalised, made durable – and yet these are temporary installations. This paradox is clear in the City’s visual motif of Vladimir Tatlin’s Monument to the Third International (1919–­25). Designed to house the various governing bodies of the newly formed Soviet Union, Tatlin’s aborted work of ‘iron and glass and revolution’ consisted of a rotating cube, pyramid and cylinder, piled precariously towards an open top that defied structural solidity. Contemptuous of the confident verticality of the Eiffel Tower, it was a monument designed to be radically anti-monumental. Instead, preserved on paper as the ultimate expression of utopia, ‘no place’, it becomes a suitable motif for Monumenta. 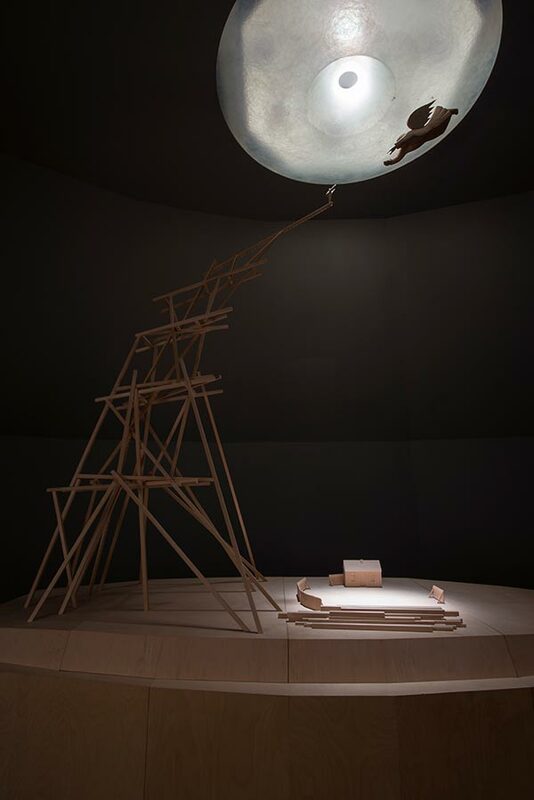 Its vertiginous form is mirrored by the installation’s angelic ladder; the volcanoes of Manas; even in the tiny wooden figures that perch at a 60° angle on the architectural models, necks craned in the direction of knowledge. The installation’s intricate storytelling and whimsical wanderings are the source of its popularity (queues stretch across the Champs Elysées). 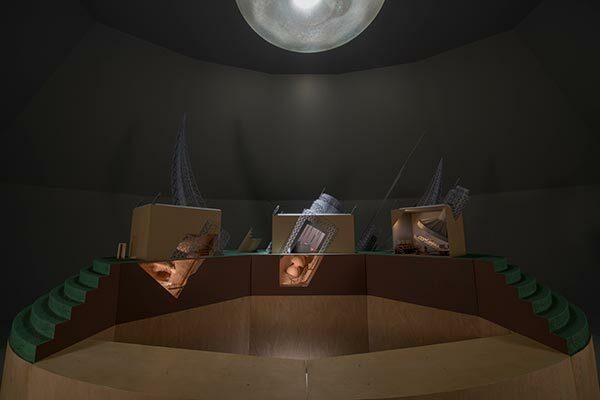 Yet the Kabakovs’ exploration of utopian ideals is perhaps more successfully expressed in the nearby La cuisine communautaire (1992–­5) at the Musée Maillol – an installation as closed and concentrated as the ‘L’Étrange Cité’ is sprawling and semantically charged. While the treasure of Saint Gennaro glitters in the museum’s main galleries, an altogether different hoard is stashed down a grubby flight of steps – the utensils of a communal Soviet kitchen, kettles, cake moulds and cheese graters rise weightless up the walls and are suspended from the ceiling like fly papers. Disembodied voices are heard raised in argument. In the communal context, the exchanges are ironically focused on assertions of individual ownership. The subject matter is undeniably bleak. 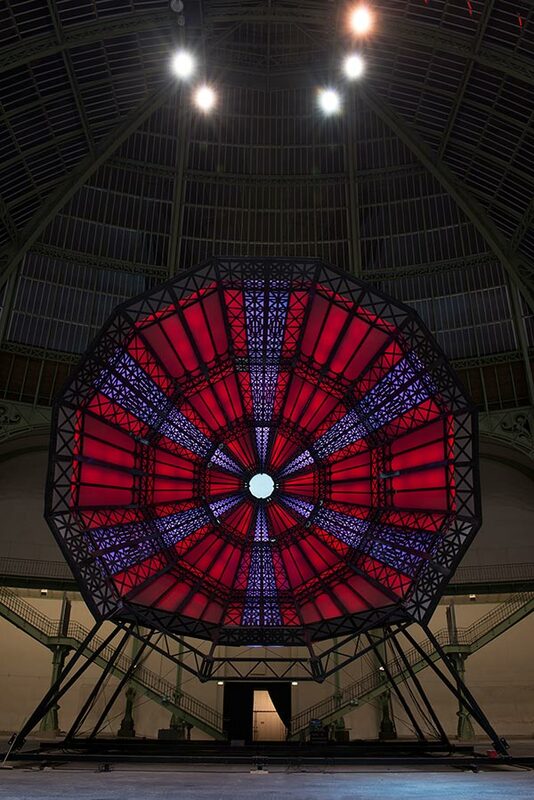 And yet the installation has a certain warmth of integrity entirely lacking in the vast space of the Grand Palais, which, in the manner of the selfie, slips into knowing self parody even as it monumentalises the moment.